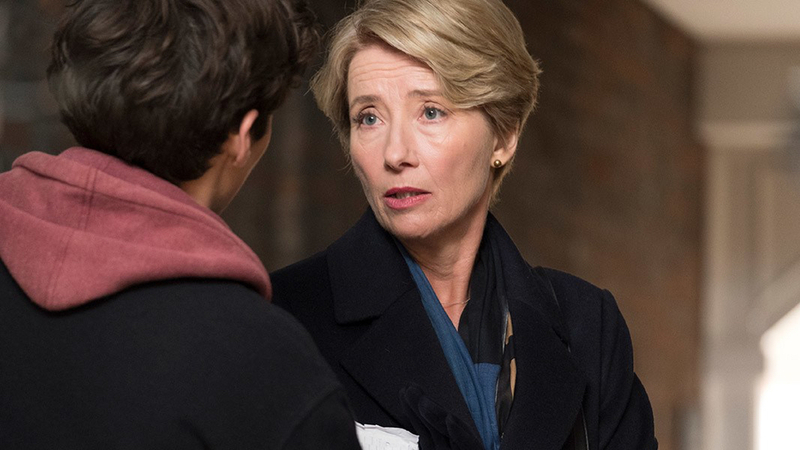 Ian McEwan’s adaptation of his eponymous novel reunites Emma Thompson and Stanley Tucci as struggling married couple Jack and Fiona. Fiona’s work as a leading High Court judge takes a toll on their relationship, and her marriage of thirty years is now in crisis. As her personal life falters, Fiona is faced with a difficult choice at work: she needs to decide the fate of a teenage boy with leukemia whose family’s religious beliefs forbid the blood transfusion he desperately needs to stay alive. Under the direction of Richard Eyre (NOTES ON A SCANDAL), Thompson is absolutely riveting in this rich, complex moral drama. This screening is co-presented by Ashenfelter, Slous, Trembulak, McDonough, Golia & Trevenen, LLP.